Somehow, just through people watching, she would realize that a certain Reebok was going to be the most coveted accessory of 1998 or that Chola sandals were the new shoe of summer. The main takeaway, at least for me, was that these women had some kind of magpie magic that's bestowed upon a few of the world’s tastemakers. Good taste is one thing, but the ability to be ahead of the curve is something innate. If you don’t have it, you won’t have it. 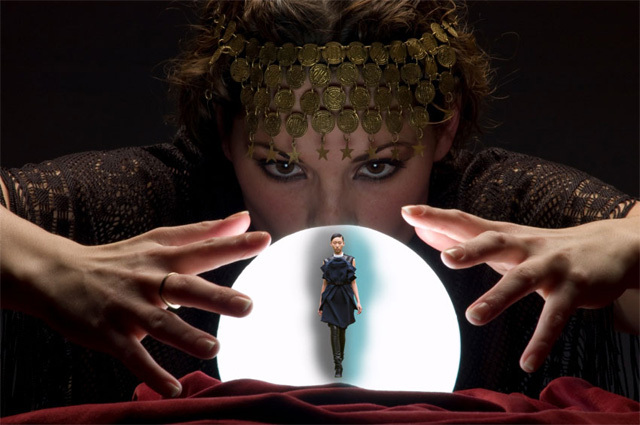 But now, Julia Fowler, the co-founder of data-driven fashion-forecasting company Editd, in London, may have discovered how all of us can predict the trends. Forget intuition, she says in a New York Times profile; trend forecasting is about "real time or near real time information." Meanwhile, Paula Reed of the retailer Harvey Nichols argues in the article that "a magpie instinct and a sixth sense are still the best tools in the unending quest for the next thing." But Fowler makes a strong case for why this is no longer true, and I'm on the side of that data. The Times points out that the runway shows in fashion's big four cities — New York, Milan, Paris, and London — don't have the widest reach, whereas Twitter, Pinterest, and other social-media avenues have a much larger audience and potential for global influence. While Twitter might not drive retail sales (yet), what people are talking about on Twitter can be influential. These days, street style is an online-perpetuated study, rather than a lesson in hanging out on the corner, and even designers and brands are looking at the chatter to help direct them, in some ways. Fowler's company, Editd, uses software that gathers online information, amassing 300,000 comments from social media ranging from "what's on store racks to indications about how long passion for leopard print will last," explains the article. Clients like ASOS, Gap, and Target pay for those reports — similar to the reports from those cool-hunters in 1997, except this is based on the instincts and tastes of a much larger and more diverse group of people. By following what's on Twitter, Pinterest, Tumblr, and Instagram, we all have the potential to be tastemakers and fashion leaders, to some extent, it seems. But that also means that a super computer might be the next editor-in-chief of Vogue. By ALLISON P DAVIS. We found it on The Cut.